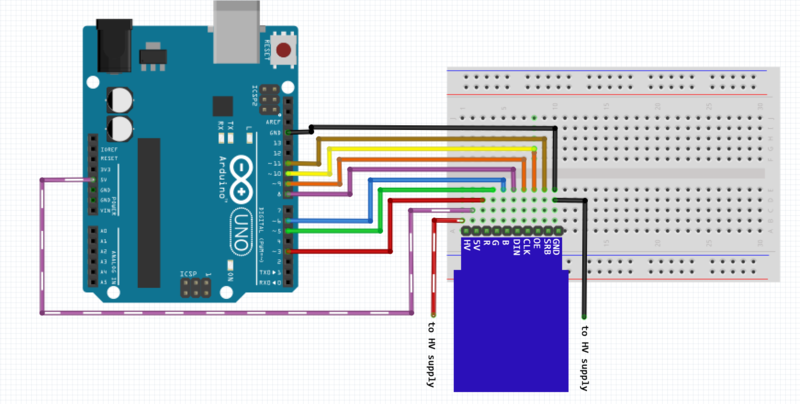 The driver uses the HV5122 from Microchip and is intended for use with a library and a microcontroller, and we have written a library which you can download from our website. See below to find out more about the possibilities for development. 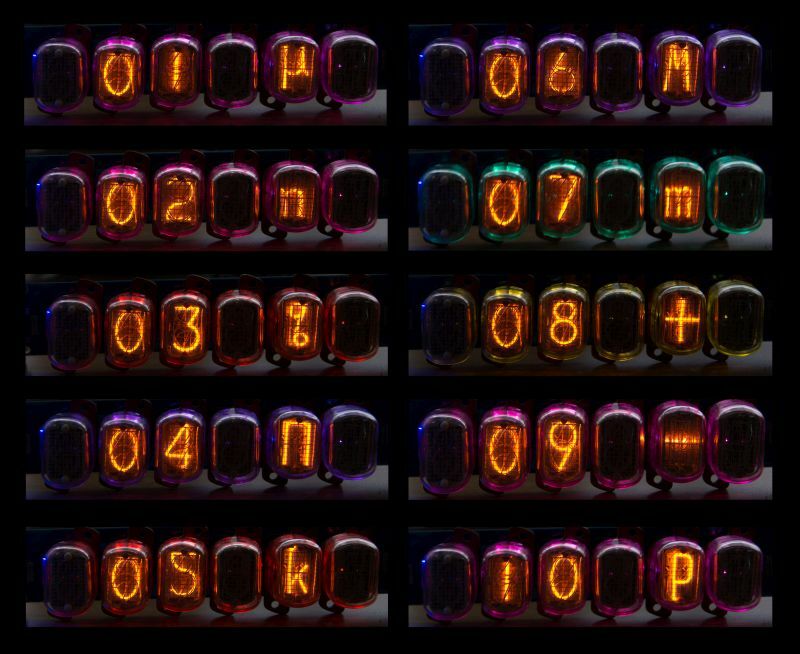 The board also features a high power RGB LED backlight behind each tube, for added visual aesthetic. These can be programmed in any way you wish, should that be a rainbow colour fade loop or as one block colour. 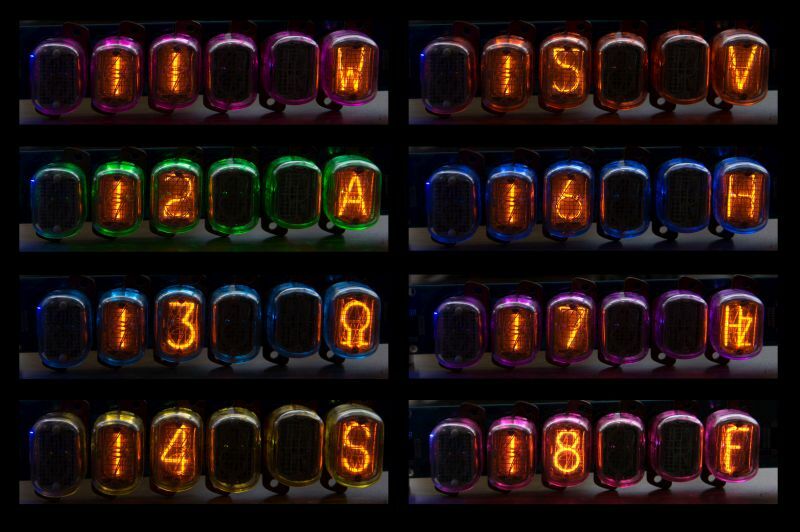 We have written an Arduino library to accompany the Nixie tube driver which is designed to simplify displaying of numbers, decimals, and symbols on the display. For example in the image to the left, we have written a sketch to use the display as a voltmeter for a simple potential divider... the possibilities are endless! The Nixie library also includes a comprehensive backlight controller, which allows smooth blending of colours between fades, custom colour loops, and user controllable durations, all in the background of the sketch. 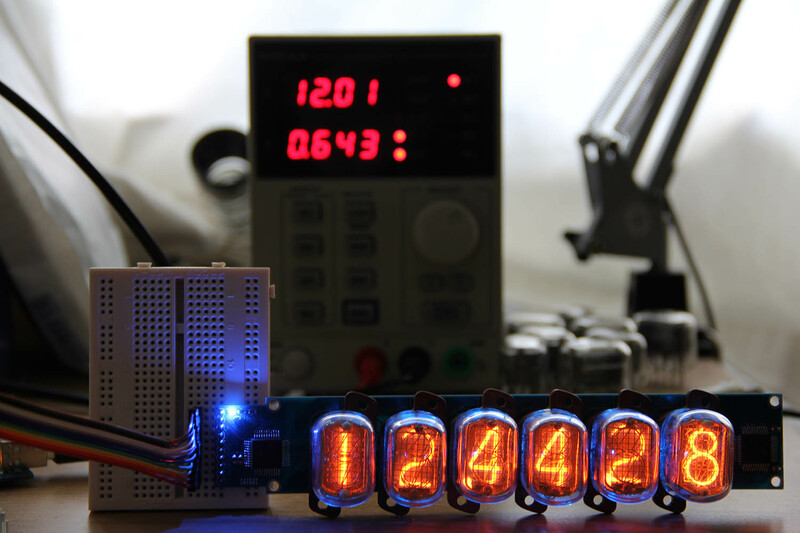 If you wish to use the Nixie Driver without the library, you can find a brief guide on how to do this here. Displayed here are the dimensions of our driver (click to enlarge) should you wish to mount it in a case. Also, if you come up with a cool case, be sure to send us a photo, we might feature your design! This product is listed on Kickstarter and you can see it by clicking the green button below, and we hope you love it enough to back it!